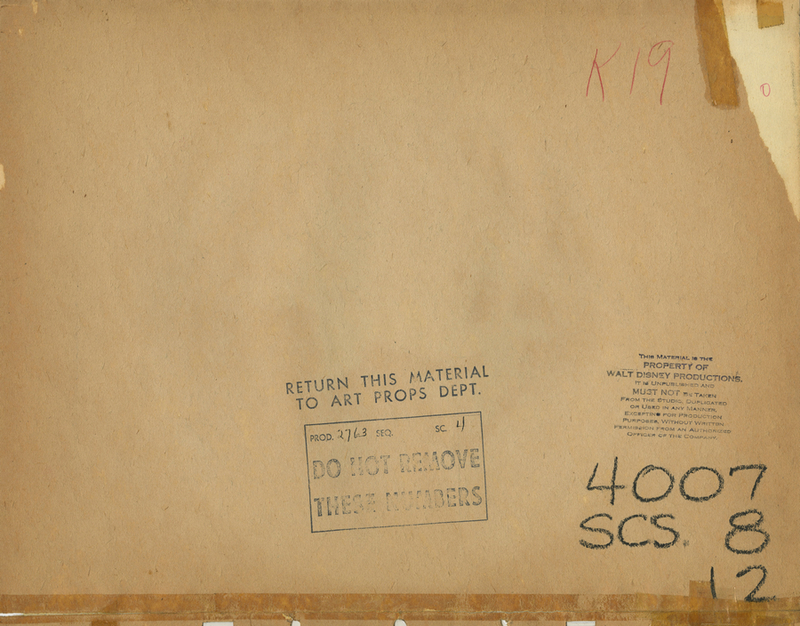 This is an original production background from the Walt Disney Studios production of Attack in the Pacific, for O.W.I., (1944). 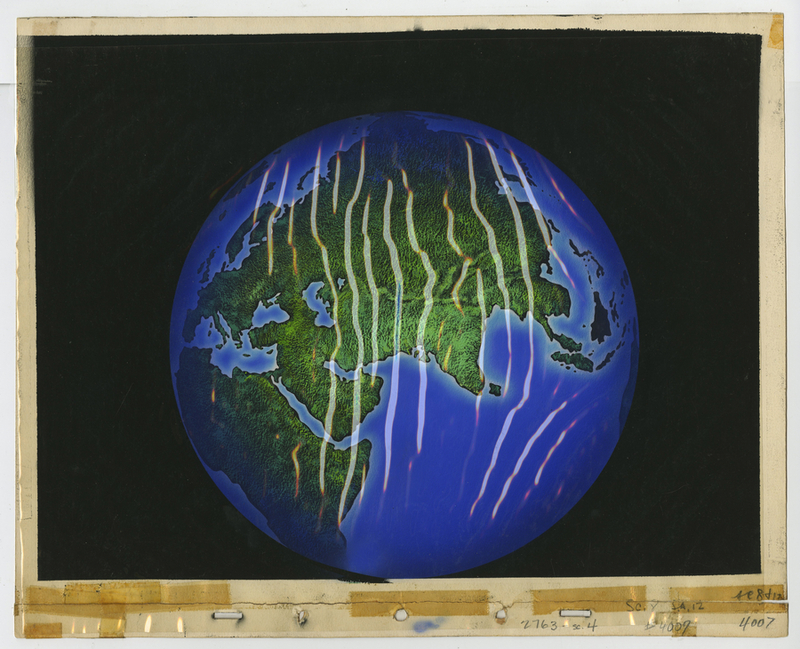 This hand-painted background features a wonderufl image of the globe, showing Africa, Asia, Europe, and the Middle East, and was created at the studio and used during the production of the wartime short. Each scene in an animated film will have only one background, making them more rare and hard to find, and Disney only produced animated inserts (maps) for this 15 minute segment of the film . The overall measurements of the piece are and the image itself measures 11" x 14.5". 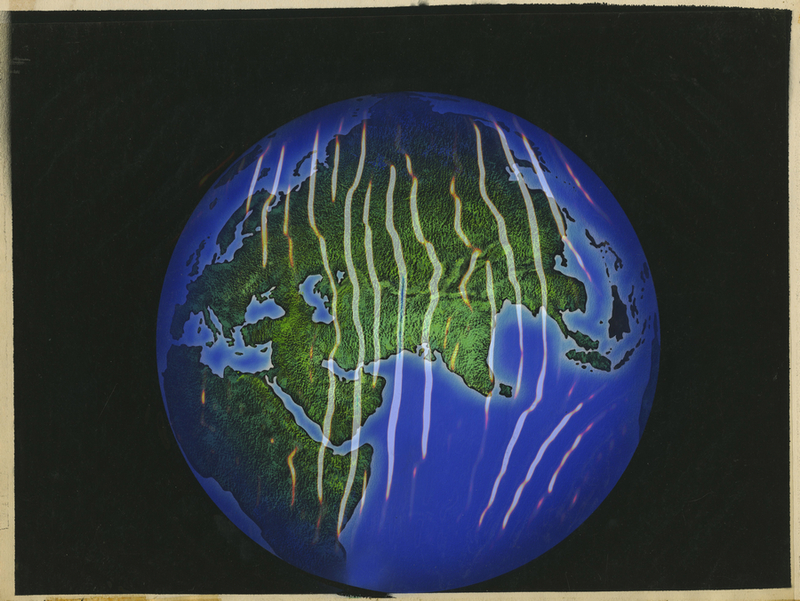 The background is in great condition (the vertical lines you are seeing in the image are from the scanner's lighting reflecting off the protective cel layer, please ask if you'd like to see the background without this layer).